Overhead crane accidents take a big toll in terms of human suffering and financial loss each year in the U.S. An analysis of 249 OSHA-reported crane accidents in one 10-year period, revealed an estimated $500 million in economic loss, along with 133 injuries and 133 fatalities. The most significant findings of the analysis were that: 70% of the 248 accidents could have been prevented by proper training and 74% occurred during normal job activities which required specific training to prepare employees. This leaves no question that training is essential to safe crane operation. But, what are the requirements for crane training? The OSHA standards for overhead and gantry cranes state, "Only designated personnel shall be permitted to operate a crane covered by this section" (1910.179(b)(8). "Designated," according to 1910.179(a)(35), refers to those individuals deemed to be qualified to operate an overhead crane for a specific application. FTS Safety has one of the most experienced overhead crane trainers in the industry, Tom Taylor. Tom is a "crane guy" and has spent years using overhead cranes and training on them. 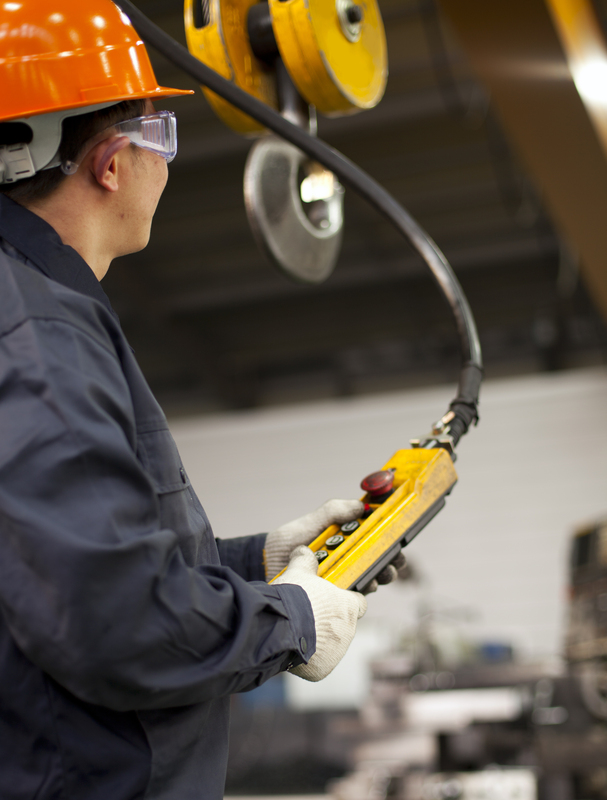 Whether you are looking to train on a small overhead crane in your shop or a huge overhead crane on the production floor we can provide great training which meets your needs. At this time, we only train overhead crane operators, we do not train overhead crane trainers. We also offer a related class in chain, sling and rigging and perform inspections of below the hook lifting devices. This 8-hour course covers the safe operation of both cab mounted and remote pendant operated fixed overhead cranes, which are popular in general industry. 80 hours of practice time and a physical exam are prerequisites for any cab mounted crane operators. Six hours are spent on cranes and an additional 2 hours are spent on the safe rigging of loads.